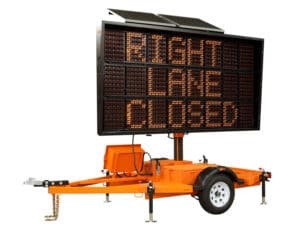 We use temporary and permanent message boards and trailers for more than just static alerts. Our advanced queue warning systems use Bluetooth and WiFi to collect highly specific information from and about vehicles, like speed and vehicle types. You can gather this information for just about any purpose, including determining travel time from one location to another, and send information back to drivers. JamLogic, Ver-Mac’s message board software, has a two-tier system that either remotely connects with a device or connects two devices. We offer a third tier, which combines tiers one and two to offer more flexibility and get your message onto the road. 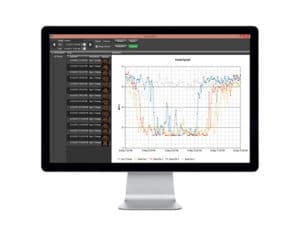 Using high-speed modems, JamLogic connects with third-party providers or sensing devices in the field to collect data. The server analyzes the data using preset or customizable logic and messages. Then JamLogic automates the right messages and displays them on your message boards to share real-time information with drivers. If it’s taking longer than normal for vehicles to travel a certain distance, you can alert drivers to change their plans. The drivers are already frustrated, but when you show them exactly how far behind they are, the wait feels much more manageable. We can also use this information to identify regular traffic jams on major roads by capturing vehicles’ speeds from day to day. We can also integrate our message boards with more permanent settings like foam core casing. This is a very accessible, cost-effective installation that costs far less than you might think. It also makes your message board look more appealing and tells drivers that it’s a permanent fixture in your community. 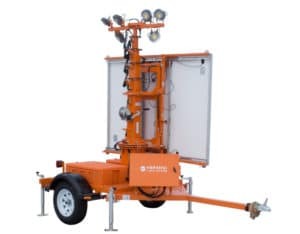 The PSLT-6000 is a powerful, compact portable solar light tower. It’s built with Ver-Mac’s Nightbrite technology, making it as bright as diesel towers while saving fuel and labour costs. The unit’s small size and high efficiency makes it ideal for most applications. 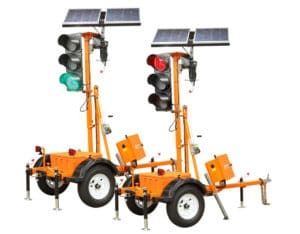 The TLD-2312 is a battery- and solar-powered portable traffic signal trailer set. Each trailer has a traffic signal head. 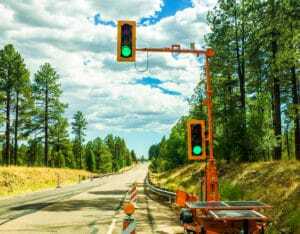 This system has multiple features for safe, efficient traffic control in short- and long-term applications. 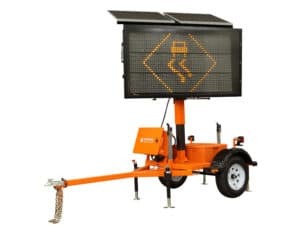 The TLD-3612 is a battery- and solar-powered portable traffic signal trailer set. Each trailer has a traffic signal head. This system has multiple features for safe, efficient traffic control in short- and long-term applications. 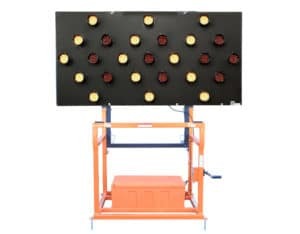 The ST-4825 is a trailer-mounted arrow board with 25 lights. The unit features our single-mast design, wireless V-Touch controller, Stealth Technology, and Opti-Power lens. With its energy-efficient design and high-quality construction, it’s one of the most reliable and cost-effective arrow boards on the market. 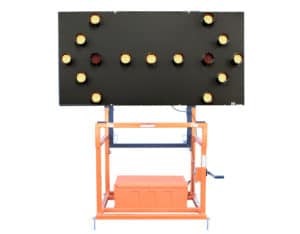 The ST-4815 is a trailer-mounted arrow board with 25 lights. The unit features our single-mast design, wireless V-Touch controller, Stealth Technology, and Opti-Power lens. With its energy-efficient design and high-quality construction, it’s one of the most reliable and cost-effective arrow boards on the market. This full-size, full-matrix sign can display graphics. It’s 100% NTCIP compliant, and it can easily be controlled by any NTCIP-compliant traffic control software. 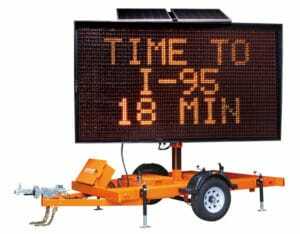 The PCMS-548 is a full-matrix, trailer-mounted sign that displays changeable messages at a smaller size. 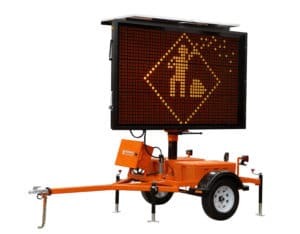 With its energy-efficient design and high-quality construction, it’s one of the most reliable and cost-effective message boards on the market. 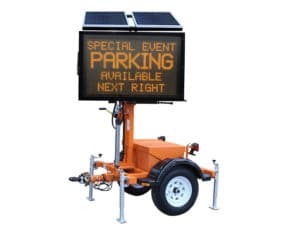 The PCMS-4880 is a compact full-matrix, trailer-mounted sign featuring the NTCIP-compliant V-Touch controller and Tilt-and-Rotate solar panels. It’s perfect for urban areas, school zones, low-speed roads, law enforcement, and special events. 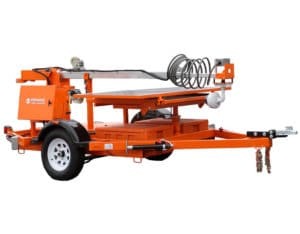 The CT-2430 trailer is perfect for remotely monitoring work zones, construction sites, special events, and any applications where permanent cameras aren’t possible or available. 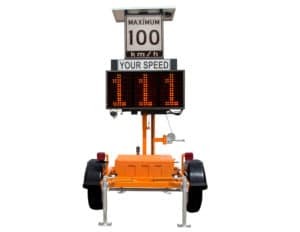 Ver-Mac’s trailer-mounted speed signs are the perfect way for schools and police departments to warn drivers when they’re speeding. This full-size, full-matrix sign can display graphics. It’s 100% NTCIP compliant, and it can easily be controlled by any NTCIP-compliant traffic control software. With its robust, energy-efficient design and its plug-and-play components, this low-maintenance sign will perform whenever and wherever you need it. This full-size, three-line sign has a character matrix to display any messages you want. It’s 100% NTCIP compliant, and it can easily be controlled by any NTCIP-compliant traffic control software. With its robust, energy-efficient design and its plug-and-play components, this low-maintenance sign will perform whenever and wherever you need it.